With our marquee hire in Durban Inner West company satisfaction and affordable prices are assured. Our reliable tent offer delivery and installation services that are suitable for any kind of event or party. With years of experience in offering the finest products on the market, you can expect nothing less than a quality service that adheres to all the set security rules and regulations. We are always available for you even on short notice, therefore get in touch today on 031 100 1905. 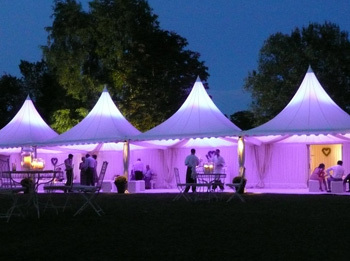 Our wide range of marquee tents come in various shapes and sizes. They are 100% waterproof and fit for any kind of weather. Don’t worry about the weather or the terrain: our tents will never let you down. Whatever the occasion – from music festivals to outdoor weddings – we will always ensure that we get the right product for your event. Our tent rentals also come with décor and drapery services, which is why our marquee and tent hire Durban inner west company is best option in town! We also offer a wide range of stretch tents for hire, as well as pop up gazebos for product expos or fairs. Our affordable services are available all through the year. Call us today on 031 100 1905 and we will make a difference.